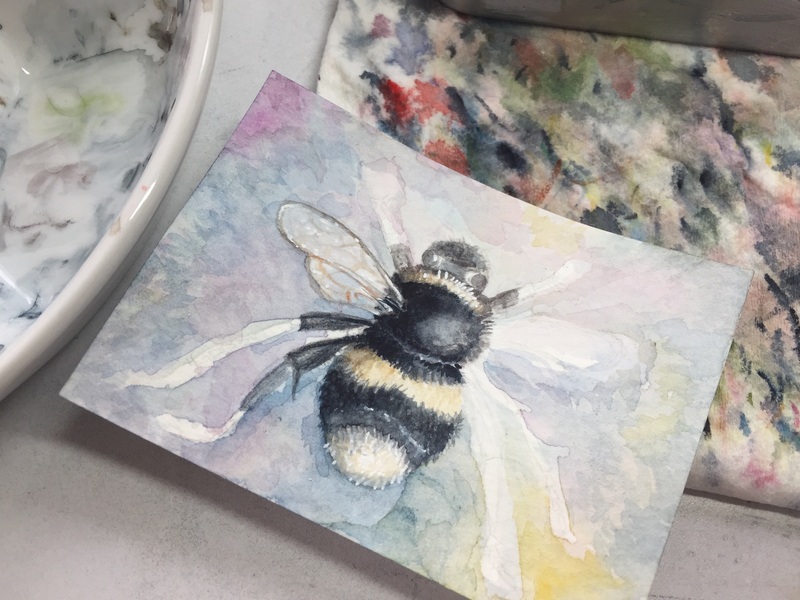 the start of a little bumble bee. 2 ½ x 3 ½ inches. 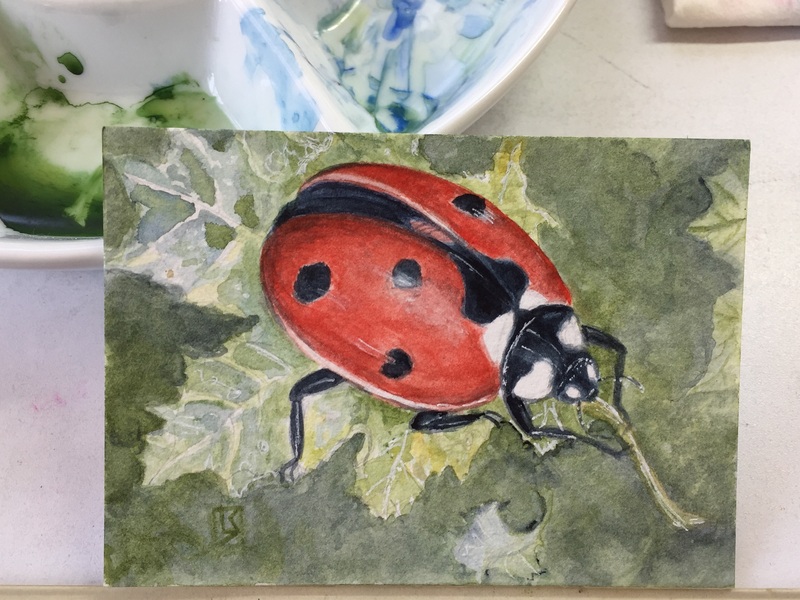 So the little ladybug is done. 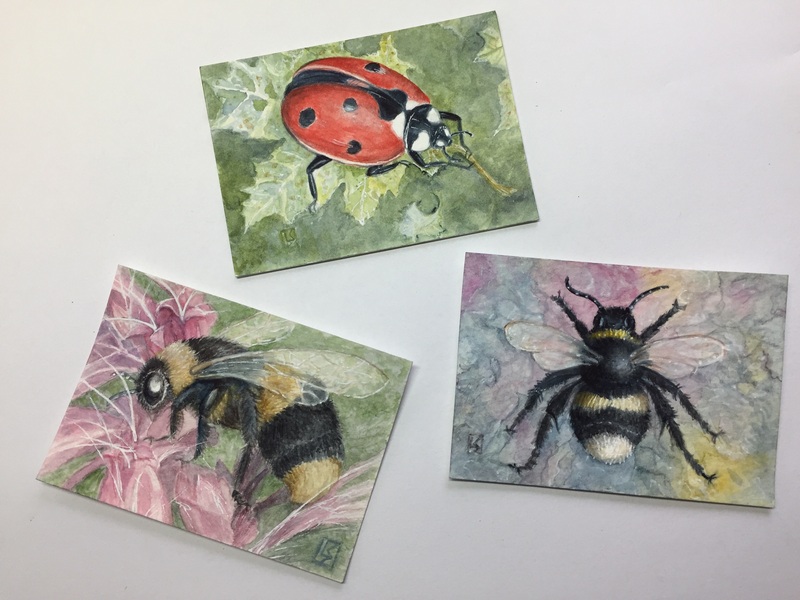 I really enjoyed doing this very tiny watercolor. Only 2 ½ x 3 ½ inches.